Employee Engagement as a concept is going through some exciting changes. As geographical boundaries collapse, and distances are reduced to meaningless numbers – markets are getting more competitive and brutal than ever before. And companies are increasingly realizing that the only thing that will help them survive (and thrive) is their key asset – their people. Office buildings and computers will not innovate. People will. HR professionals and business leaders are waking up to the reality that extrinsic motivation can only do so much. Intrinsic motivation is what’s crucial to make the cut. The art of engagement is all about providing an environment where the intrinsic motivation of employees dovetails with that of the organization. To make sense of where we are and where we are heading to, it’s useful to take a pause and look back for a moment. Over the next few posts I am going to outline the various theories which form the foundations of employee engagement today. In the employee engagement journey, the Industrial Revolution is a pivotal point. You might even say that it’s the time when the concept of an “employee” came about in the true sense. Starting in the 1760 to sometime between 1820 and 1840 there was a transition to the use of new technologies to enable mass production. Steam power changed the equation dramatically, removing the limitations of wind and muscle power that the factories relied on initially. ‘Spinning Jennies’ rolled incessantly, smoke spewed out of factories smelting iron, lathes turned all day long. Factories producing chemicals were large (and dangerous) but there was no shortage of people to work in them. The streets were lit with gas lighting. Canals, Roads and Rails were being built at a scale never seen before. The population and average income began to show an unprecedented sustained growth raising the living standards of the masses. 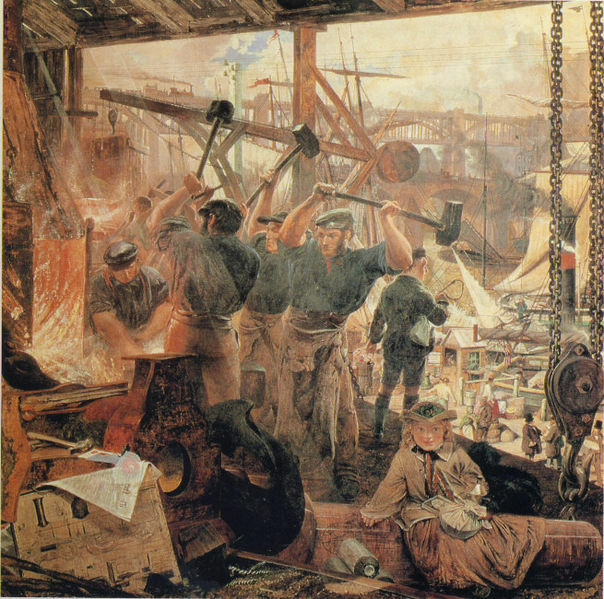 It was the rise of the industrial society that also gave birth to the concept of an organized work-force using technology to enable mass production. The pre-industrial society was primarily agrarian with limited production capability. There was a clear source of motivation if you were living on a farm – work or go hungry. If people were not willing to get up in the morning and start working really hard, there would be no food on the table. Cause and Effect was clear. The ‘big picture’ was pretty limited as well – in a manner of speaking. The Industrial era changed all that. Steam delivered much more power for much less fuel. Textiles, Mining, Metallurgy, Chemicals, and Machine tools – everything changed forever. Factories grew larger and larger. For the first time in the history of mankind a large number of people were congregating at a single place and cooperating to produce things – voluntarily – not as prisoners or slaves. It was just a matter of time before division of labour was around the corner with tasks being broken down into parts for greater efficiency and specialists making an appearance. Questions of efficiency and productivity surfaced soon enough. Pig-Iron, 45 tons of it, for a dollar eighty-five. ‘Motivation’ was mostly about sticks (punishment for not doing a task) in this era of frenzied growth – epitomized in the legendary story of one Henry Knoll. 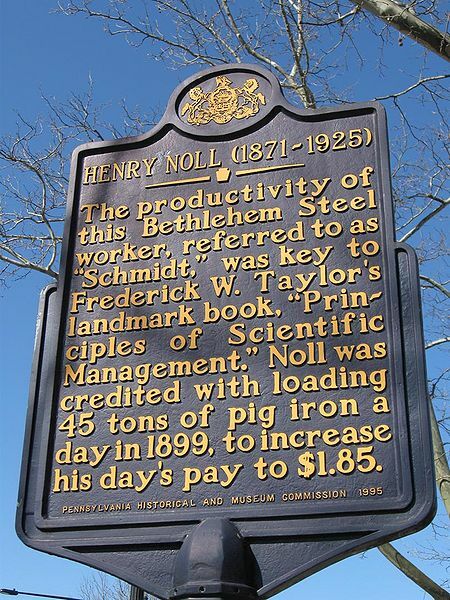 Made famous as the fictional “Schmidt” who trotted happily to and back from work, by Frederick Taylor, Knoll was a worker at Bethlehem Steel who loaded pig-iron onto railroad cars. Workers were paid a flat $1.15 irrespective of the actual tonnage they managed to load. The average was 12.5 tons. Now management like all good managements wanted to get more done for the same cost. They decided to increase worker throughput and move from a fixed pay to a variable mode – fixing the wage rate at $0.375 per ton loaded. This meant that workers would have to move over two and half times their current average just to get the same pay. It was the classic use of a stick to increase productivity. 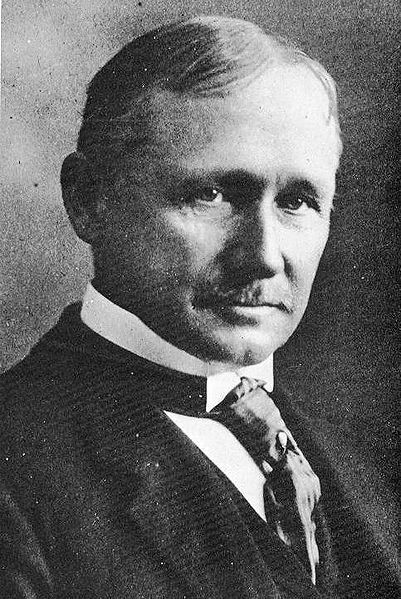 Henry Knoll was one of the employees identified by Taylor’s staff as being capable of moving the required tonnage and made an appearance in Taylor’s famous publication “Principles of Scientific Management”. Described as dim-witted, Schmidt’s motivation (as the fictional account goes) to ‘go the extra mile’ at work is his need to earn money to build a house on the land he has just purchased. The increase in productivity supposedly arising from better loading strategies (decided by the management) and motivated effort by the workers (read work harder and follow instructions without asking questions). In 1911, Taylor introduced his paper “The Principles of Scientific Management” and changed the way workforces were organized forever. Taylor’s work set in motion a major movement that lasted for most of the 20th century in the industrialized nations. The efficiency movement sought to identify and eliminate waste in all areas of the economy and society. Taylor had very specific ideas on how to implement this system in the workplace. The (really long) lasting influence of Taylor’s work. There were complaints but his methods would have a near permanent influence on the way people worked for decades. His work also helped lay the foundations for the field of time and motion study – the backbone of all efficient manufacturing setups even today. 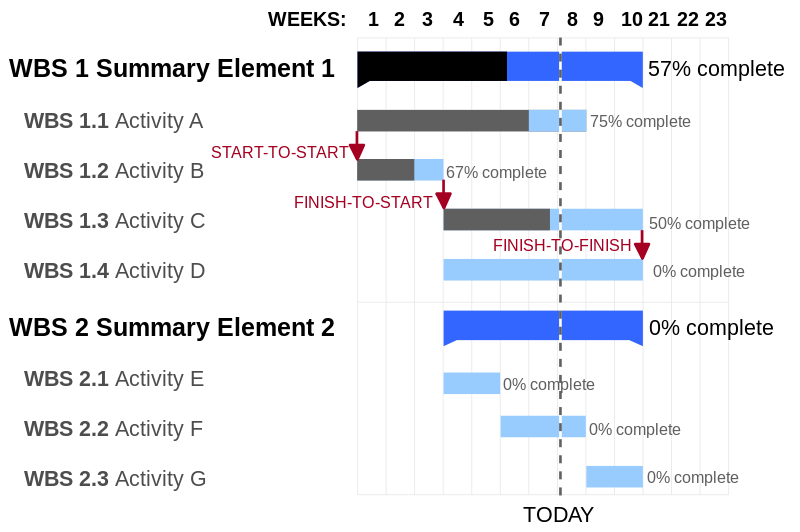 Gantt charts, the preferred tool for project managers is heavily influenced by the concepts Taylor introduced. There wasn’t much in terms of extrinsic motivation that companies provided to their workforces in this time. Arguably the intrinsic motivation of a vast majority of the workforce was high, because it was a way out of poverty. As noted before, there was an overall rise in the standards of living and social values got left behind. Several intellectuals like Henry Mintzberg, Harry Baverman and James Rinehart however were severely critical of ‘Taylorism’. What Taylor took away in his approach towards increasing productivity, Harvard Business School Professor Elton Mayo brought back in the famous Hawthorne Studies in the 30’s. Mayo and Henry Murray’s “Explorations in Personality” brought the ‘individual’ back to the focus. We’ll take a closer look at their work in the next post. Stay tuned. Efficiency Movement, Industrial society, Industrial Revolution, Division of labour, Henry Noll, Frederick Taylor, Scientific Management: Wikipedia. “Carrots and Sticks Don’t Work”, Paul L. Marciano, McGraw Hill, All images: Source wikimedia commons.Inspiration for the post title is the awesome book: The Ascent of Money: A Financial History of the World, Niall Ferguson, Penguin Books.